It snowed through last night so running was off this morning. I did see a couple of runners while out, but didn't fancy sliding about and risking injury with only four days until the Quadzilla. Instead, Claire and I went for a walk and then got a decent cardio workout building snow animals. 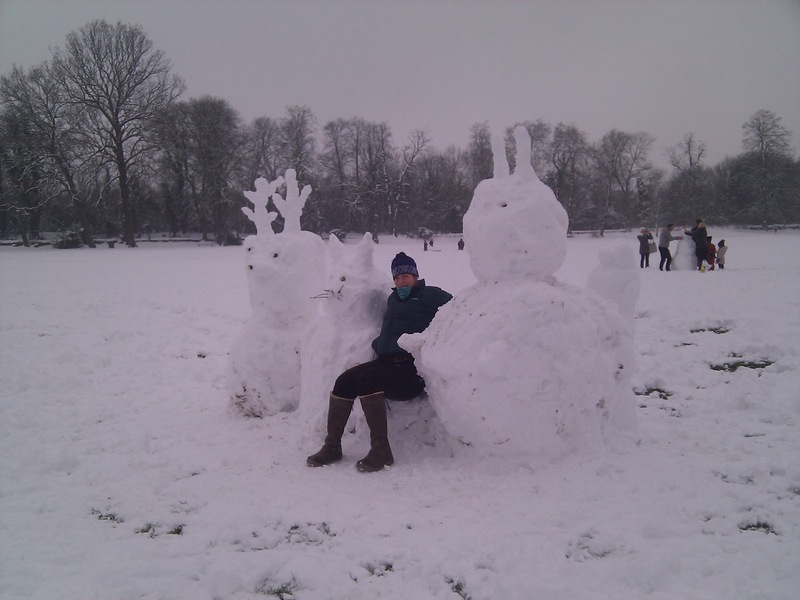 There were already plenty of snowmen in the park so we branched out and created a rabbit (or possibly a squirrel), a reindeer and a cat. Not especially lifelike but small children were recognising them so they can't have been that bad! 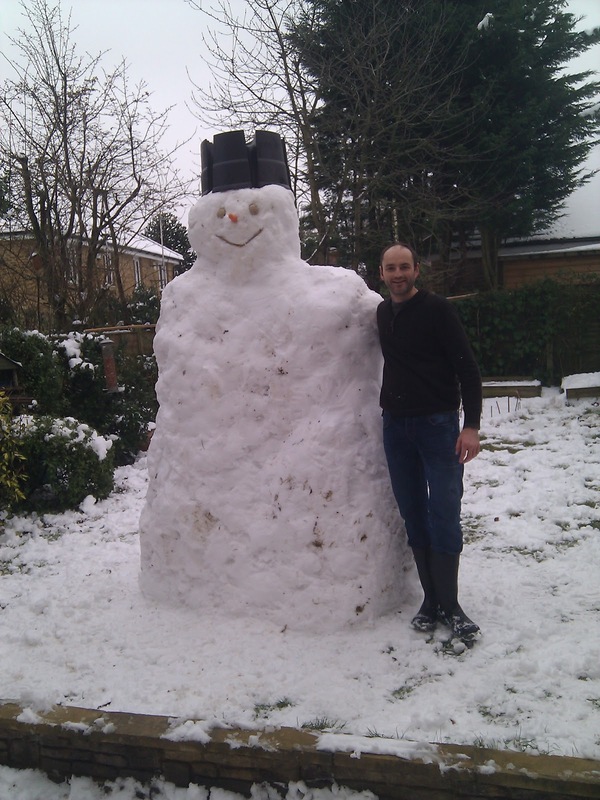 Later on, I used up most of the snow from the garden to build this monster. Much more fun than running in this weather! Staying out of the cold later on did give me a chance to work on more stretching. I've been trying to do some stretches every day designed to counteract the bad effects that sitting at a desk all day has on my hips. Its really just to try and increase hip flexibility and range of motion. They seem to be working so far, I guess I'll see when it comes to running next week. I just hope it warms up for Quadzilla. The forecast today is for it to keep freezing until Thursday. A few degrees above zero would be nice!